As is usual, the Gun Control debate is neatly split in the artificial left-right control mechanism. Unadulterated hysterics are thus the norm. I favor the 2nd amendment, but not because ‘guns make safer’. They don’t. America suffers most from violent crime of all advanced societies. Guns are a huge part of that. Per capita murder figures are on average about 10 times lower in Europe. Violent crime is much lower. That’s nothing to be scoffed at. Gun control is rife in Europe. Normal people are hardly able to own a gun. But I’m pretty sure most aren’t interested in them either. I know I’m not. I used to be somewhat, when I was a young kid, still pretty messed up and fascinated with violence. Not quite the kind of person you want to have guns, but a quite substantial portion of those interested are in a similar psychological state. The one exception is Switzerland. Crime is low there, while every able bodied man takes his gun home after his stint in the national militia. But Switzerland is a highly organized and disciplined society, with accompanying high suicide rates. The Army’s gun is neatly tucked away at home, for when war breaks out. It is available for defense of the home or in case of an emergency. America’s fascination with guns is not overly attractive. Having said that, in principle a free man should be able to defend himself. Lower violent crime is very attractive, but this principle is quite important. The idea that we should leave it to the police is ridiculous and this idea only exists to sell the protection racket that is the State. The most important reason for the importance of the Second Amendment is clear: the people need to be able to defend themselves against Government Tyranny and the NWO. There are clear indications that the fact that there are so many homes defended by a huge arsenal is one of the key reasons the NWO has been stalling. John Todd already said so in the seventies. 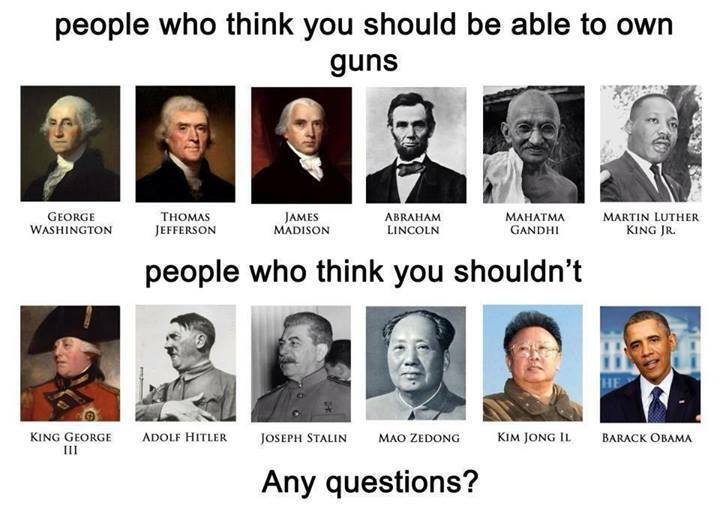 By the way: Hitler didn’t suppress private gun ownership.